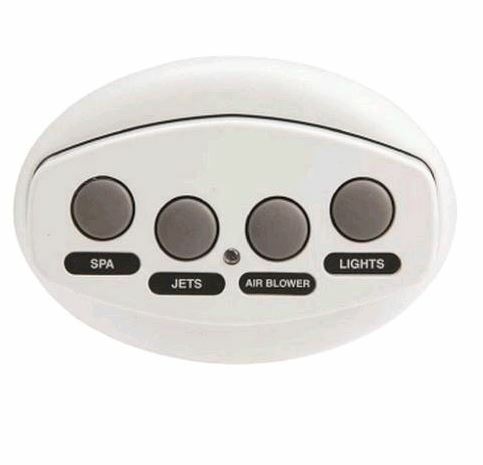 The iS4 Spa Side Remote is designed to work with Pentair's EasyTouch and IntelliTouch Control Systems. It can control up to four functions including jets, air blower, lights, heater, etc. without having having to get out of the hot tub. It also features a red indicator light that lets you know when the heater is on. iS4 Spa Side Remote for Pentair IntelliTouch and EasyTouch Control Systems. Available in 50, 100, 150 and 250 foot cord lengths. Available in White, Gray and Black.